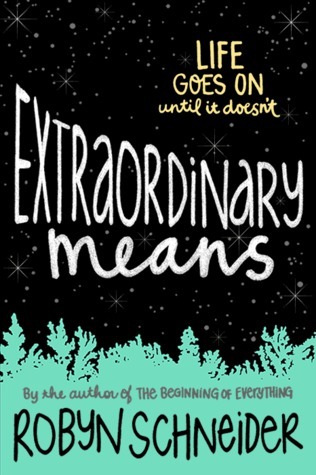 “Life goes on… until it doesn’t,” reads the front cover of Extraordinary Means by Robyn Schneider. Lane Rosen was diagnosed with tuberculosis. It’s the disease with no known cure. Lane moves to the Latham House, where teenagers like him live away from civilation, in a quarinated boarding school. Just when Lane thinks his future is destroyed (college), Sadie appears. They remember each other from an awkward summer camp long ago- when they weren’t both isolated beings. Sadie teaches Lane how to survive in Latham through formal dress movie nights, secret Starbucks missions, and sneaked-in goodies. It’s hard to remember they are still sick, until tragedy pounces. This heartbrazeningly good book has some mature content, so I reccomend it for YA readers only. Sixteen-year-old Ann Galardi has always had a little extra weight on her body. She is terribly self-conscious, especially in front of her body-shaming mother, who can only be described as a “chubby stick fish”, or so Ann seems to believe. When her aunt announces her wedding date, Ann declares to herself that it’s time to lose weight. 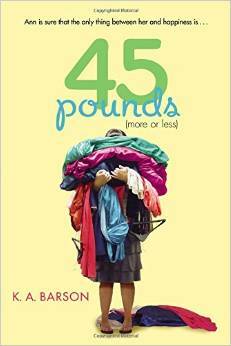 And not just a few pounds… but 45 pounds. She dedicates herself to a strict, rigorous diet that induces food cravings so bad, she nearly gives up. Ann learns to survive in a world that judges almost everything, and that it’s the most satisfying feeling to accept yourself, and others, despite appearances.